Looking for something different for your staff evening or day out? 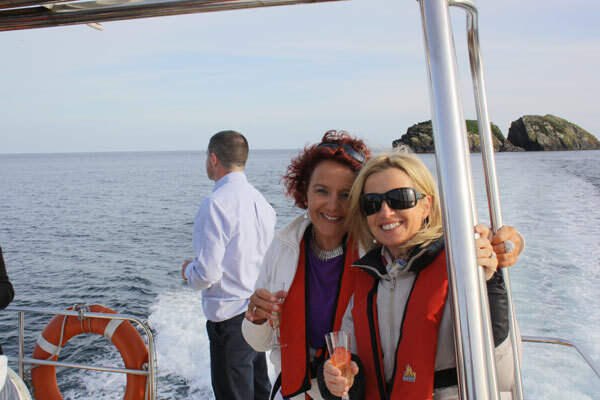 Escape from the ordinary and charter your own private boat for a one of a kind cruise of Kinsale Harbour and out amongst the rugged beauty of the West Cork coastline. Your party will be welcomed on board by your personal skipper and host. Enjoy a ‘Champagne and Strawberry Reception’ (see details below). 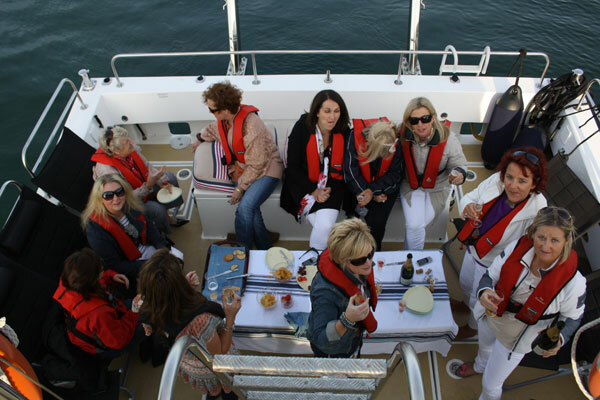 Toast to your hard work while cruising through Kinsale’s historic inner and outer harbours. Relax on deck or climb up to the fly bridge (upper deck) and gain a truly panoramic view of this spectacular coast line. Cruise out to the Old Head of Kinsale all the while keeping an eye out for the many Bottlenose and Common dolphins which enjoy these waters. Bring your own picnic or choose our ‘Add A Touch Of Luxury Package’* and enjoy the unique experience of dining on deck. We anchor in the secluded Sandy Cove Bay and allow you time to enjoy your food and each other’s company while soaking up the scenic atmosphere. Return to shore fully refreshed by the bracing sea air and content that your staff have enjoyed a truly unique experience catered especially to your needs.